Welcome to Techno Drill USA! Please call 704-290-2232 with any questions. This range of Geothermal Rigs is designed to give access to restricted sites but has the capability of drilling deep bores. The rigs will drill with DTH or water hammers, mud drilling systems and augers or casings for overburden. The Breakout Clamps can be supplied as single or double units. The advantage of this type of system is that it can grip many different sizes without the need of slips. The single unit also has an ptional breakout cylidner. The JT 200 range of rotation heads are tough and give great performance. Five different models are available all with 2 speeds. They are very compact to work in low head room and close to walls. 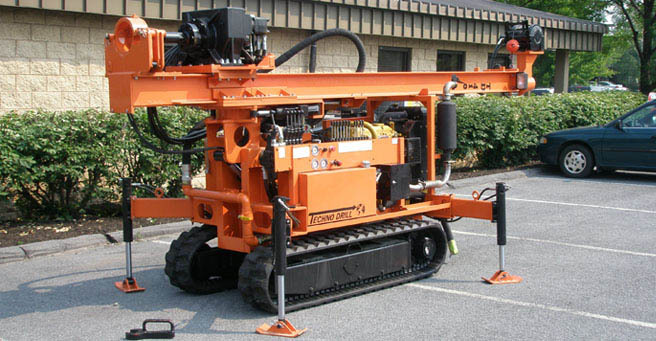 Techno Drill offers drilling solutions to suit your drilling requirements. 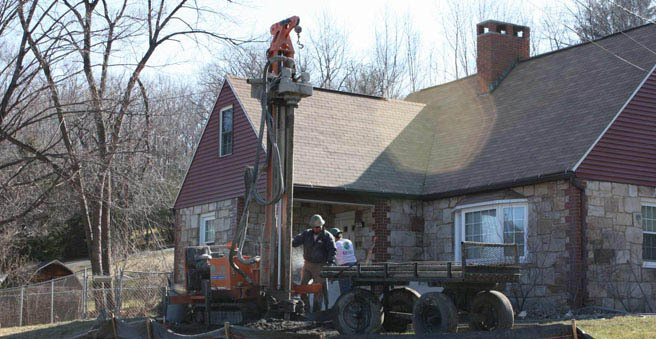 Each drilling project presents different challenges and so we offer custom drilling packages to include the equipment that you need to get the job done. Turnkey drilling solutions, product and technical support when you need them. Upgradable drilling options. Techno Drill provides clamp, mast, drill head and many other options for your rig package. The TD410 has the torque and pullback of a much larger truck mounted rig but in a much more affordable package. 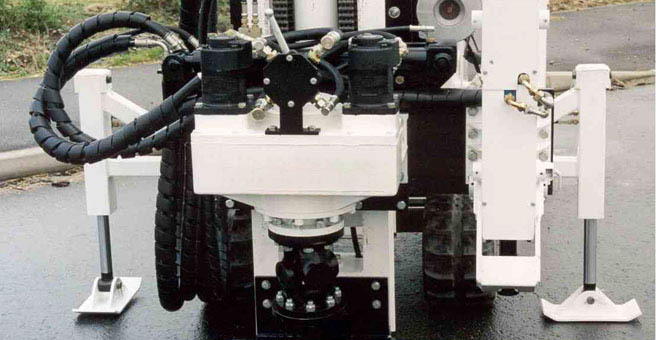 Why purchase a Techno Drill unit over other equipment? What are the advantages?